In The Pink Terra Vapes E-Juice 60mL tastes just like the pink candy chews we all learned to love as a kid. 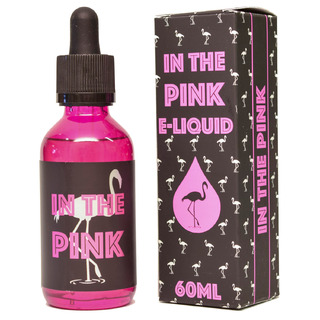 In The Pink expertly mixes the sweet taste of strawberry and hints of banana to create a delectable candy vape that delivers that delightful flavor profile with each and every drop. This liquid is manufactured by the same guys that created the higly-rated Spot On Sour e-juices, meaning it is produced from start to finish in the USA and features a high VG concentration to create a liquid that will deliver a very thick vapor that is packed with flavor.